OOTD - DIY Destroyed Black Denim | La Petite Noob | A Toronto-Based Fashion and Lifestyle Blog. I must sound like a broken record, but I absolutely love this plaid blanket scarf from Zara, and have barely taken it off all month! The material is so incredible soft and warm, and the bright plaid adds a fun element to even the most casual outfits. I love this blanket scarf so much, that I already have my order placed at Zara for the other colour! What do you think of the DIY destroyed black denim? Thanks Lena! 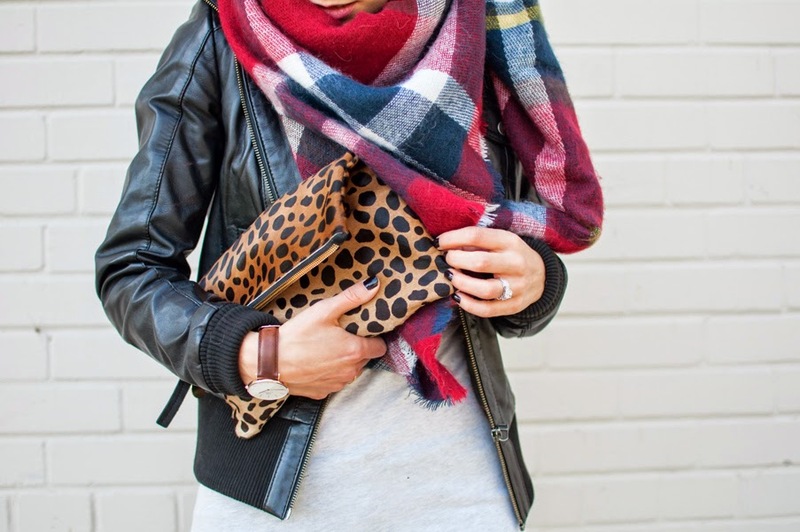 I'm a diehard fan of these scarves too - nothing like literally wearing a blanket to make you feel warm and cozy!